With an increased participation from last year the jury has been impressed by the number and quality of the applications. We would like to thank all participants for applying and more importantly for their dedication in support of the Romanian community cohesion. After careful consideration, we are pleased to announce the 2018 award winners. Congratulations to this year's awardees and many thanks for their service to all students who submitted applications. A second time participant, the winner of the Gold Award last year, Alex received the top national prize for his sustained contribution in service of the Romanian community cohesion in the US. His work for establishing a unique and lasting Romanian language program in Washington state, his two consecutive years of dedicated and community service in one of the poorest areas in Romania and in his role as communications officer for the Romanian Honorary Consulate in Seattle have been recognized with the top award this year. 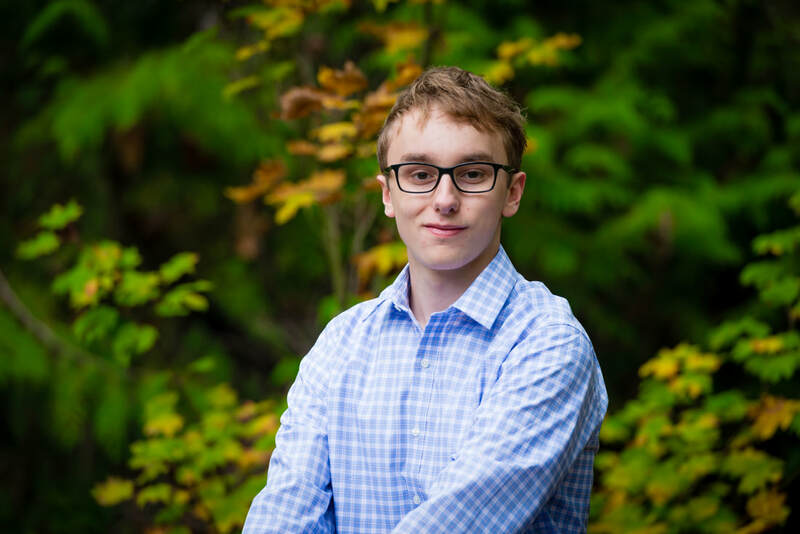 Alex is an AP Scholar with Distinction, a National Merit Commended Scholar and the secretary of National Honors Society at Redmond High School, where he maintains near perfect GPA. Also, second year participant Stefan and Victor's work on connecting Romania and America is recognized again this year. They have presented in Romania a photo exhibition titled “A Chapter of Romanian History in the Northwest of America – Queen Marie and Maryhill Museum of Art”, introducing to the Romanian public an important historical and cultural connection between USA and Romania. Stefan and Victor organized the exhibition as volunteers for ASPE (Asociația Socio-Culturală Prahova Excelsior Sinaia) and in partnership with the Maryhill Museum of Art, City Hall of Sinaia, and Sinaia Town Museum. In addition to selecting and preparing more than 40 photographs Stefan also designed the poster and invitations for the exhibition. On Aug 15th opening night, Stefan and Victor presented a special program about Queen Marie, her visit to the United State in 1926 and the history and collections of the Maryhill Museum of Art to an audience of over fifty. At the close of this photo exhibition in Romania, a smaller version will travel on to Italy. Jasmine won the recognition of the jury through her work to promote Romanian culture and history to the visitors of city of Sirnea, in Romania where she partnered with prominent community figure to help host a 2-day informative program at the local “Muzeul Satului” museum. Her work for establishing a unique and lasting Romanian language program in Washington state was also recognized. An extraordinary athlete and scholar, Andreea Ghizila is recognized by the committee for her dedication to school and sport. Andreea is a member of the United States Sprint Canoe Junior and U23 World Championship Team. As a US national champion she represented United States in international competitions through her multi-year commitment to a sport made very famous in Romania by one of the greatest Canoeist of all time Ivan Patzaichin. Such an achievement is difficult for most regular teenagers, but Andreea is also excelling academically. She attends the highly rigorous and challenging Cambridge choice school program at Juanita High School in Lake Washington School District, where she is maintaining a perfect 4.0 GPA, scored an incredibly high 1,560 SAT and is on track to graduate High School with two foreign languages under her belt, French and Romanian. Proud of her Romanian heritage, she is also contributing to the Romanian community in Seattle. Awards will be signed and presented at the prestigious Romanian Alianta Gala in the presence of his Excellency Dr. George Maior, Romanian Ambassador to US, Hans Klem, US Ambassador to Romania as well as former Vice President Joe Biden.